Jon Lord is taking the rhythm’n’blues to Bourgogne, France. 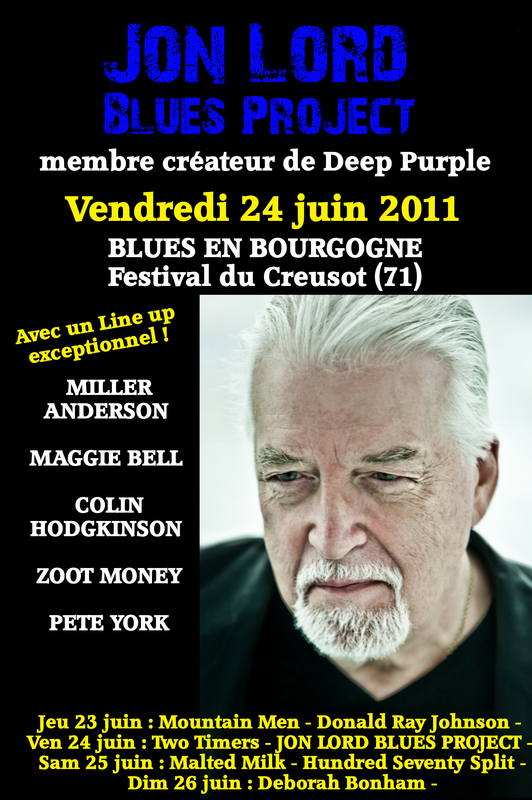 On June 24, Jon Lord Blues Project performs in Creusot as part of the Blues en Bourgogne festival. yeaaaaaaaaaaaah ! after Mulhouse two weeks ago Mister Jon Lord again in France !!! I’ll be there !!! it was a great great night !!! !